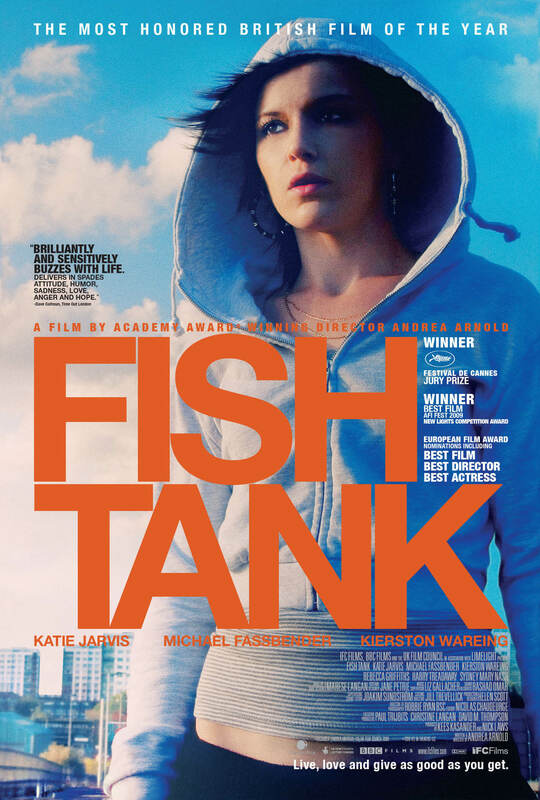 British director Andrea Arnold won the Cannes Jury Prize for the intense and invigorating Fish Tank, about a fifteen-year-old girl, Mia (electrifying newcomer Katie Jarvis), who lives with her mother and sister in the housing projects of Essex. Mia’s adolescent conflicts and emerging sexuality reach a boiling point when her mother’s new boyfriend (a lethally attractive Michael Fassbender) enters the picture. In her young career, Arnold has already proven herself to be a master of social realism, evoking the work of Mike Leigh and Ken Loach; and she invests her sympathetic portraits of dead-end lives with a poetic, earthy sensibility all her own. Fish Tank heralds the official arrival of a major new filmmaker.